Whether you saw a message saying a virus was detected or your computer seems slow and unreliable, this guide will walk you through the process of dealing with your infection and removing the malware. While many viruses and other types of malware are designed simply to cause chaos, more and more malware is used by organized crime to steal credit card numbers and other sensitive data. In other words, a “virus detected” message that occurs during normal use of your computer doesn’t mean your computer was ever infected or that the virus ever did anything. if you see a message like this, you’re likely visiting an infected web page or downloading a harmful file. Try to avoid doing that in the future, but don’t worry too much. You can also go into your antivirus program and check its quarantine or its virus detection logs to view more information about the virus and what action was taken. If you’re not running an antivirus and your computer has become slow and unreliable, it’s possible that you have a virus. 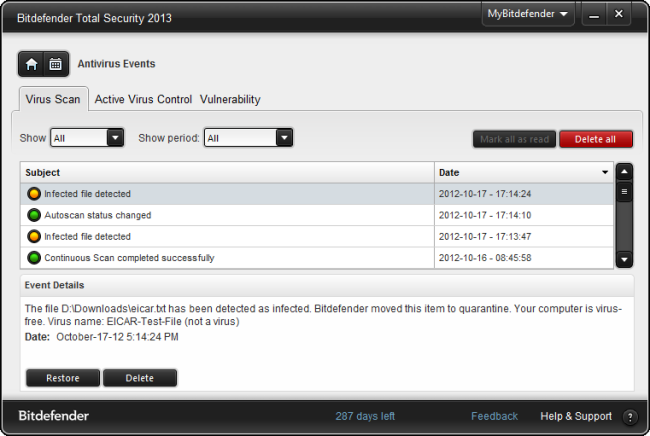 This can also occur if you’re running an antivirus with out-of-date virus definitions. If you don’t have an antivirus installed, you should try to install one immediately. There are a variety of free antivirus products you can download. The antivirus should ideally be able to clean up the viruses and fix your problems after you install it. If the antivirus can’t fix the infections on your system, read the section below on dealing with more troublesome infections. If you already have an antivirus program installed but you think you may have viruses it isn’t detecting, you can get a second opinion from another antivirus product. 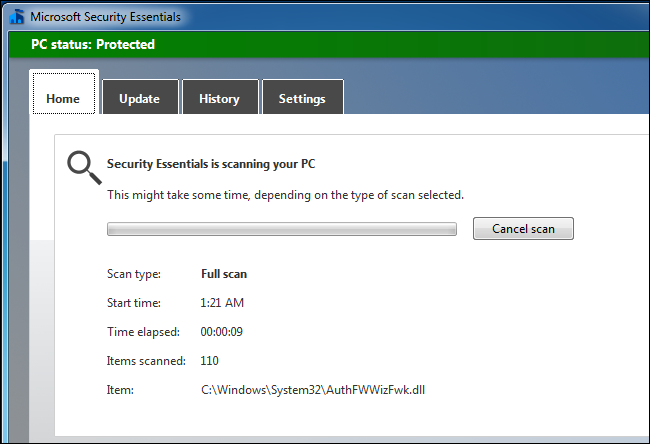 A variety of antivirus providers make one-time scanning tools available – for example, the ESET Online Scanner. These programs will download to your computer and do a quick scan without a long installation process. You can’t have multiple antivirus products installed at the same time, so this allows you to scan with another antivirus without going through the hassle of uninstalling your current antivirus. If the scanner alerts you to a problem, you’ll want to remove the viruses with the scanning tool. If you had a virus, your current antivirus may not be up to the job. You may want to uninstall it and install another antivirus product after the process is complete. Some viruses and other types of malware dig their hooks deep into your system, making them difficult to remove – especially by antivirus products you install later, after the virus has infected your system and had time to run wild, possibly downloading additional types of malware. Booting into Safe Mode can help. In Safe Mode, Windows won’t load third-party software (including the virus), so you’ll be able to run your antivirus program without the virus interfering in the background. To boot into Safe Mode, restart your computer, press the F8 key while the computer is booting up, select the Safe Mode option in the boot options menu, and press the Enter key. Run the antivirus program in Safe Mode and restart after you’re done cleaning up. (If you don’t see the boot options menu, restart your computer and try again – you may not have pressed the F8 key at the correct time.) If you need Internet access in Safe Mode, select Safe Mode with Networking in the boot options menu instead. If running the antivirus in Safe Mode doesn’t work, you can try booting from an antivirus rescue CD. When you boot into the rescue CD, the antivirus gets a clean environment to work in. It can scan your hard drive while the virus lies dormant, making it easier to clean infections that make themselves hard to remove. The “nuclear option” if nothing can remove the viruses properly – or if the malware so damaged your system that Windows still isn’t working properly after you’ve removed the viruses – is reverting your computer to its factory state. Many computers come with restore partitions that you can access by pressing a certain key during the boot process (consult your computer’s manual for the exact key). You may also have a Windows installer disc you can use to reinstall Windows. Note that this will delete the files and programs on your computer, so be sure your important data is backed up before you reinstall Windows from scratch.